Hey everyone, July is here! Check out this cool illustration Issue 3 co-editor Kripa Joshi did for this month in The Strumpet 2014 calendar! 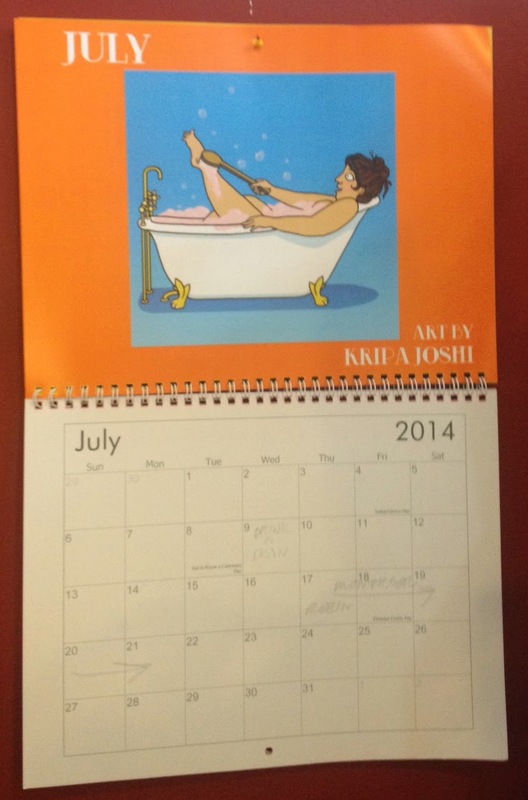 This calendar was one of the sweet rewards doled out to our Kickstarter supporters in our last campaign. The Strumpet calendar features some pretty cool new holidays we should really celebrate! For example, did you know that today is Get to Know a Cartoonist Day?! Get ready for July 18th, which in Strumpetland is Florence Cestac Day. It is so named in honor of a truly amazing French cartoonist: Madame Cestac helped to found the incredibly influential Futuropolis publishing house, and was the first ever female President of the Angoulême Comics Festival, an enormous honor. We live for the day that her history of Futuropolis, La Veritable Histoire de Futuropolis, appears in English. Studio visit from Lisa Rosalie Eisenberg! 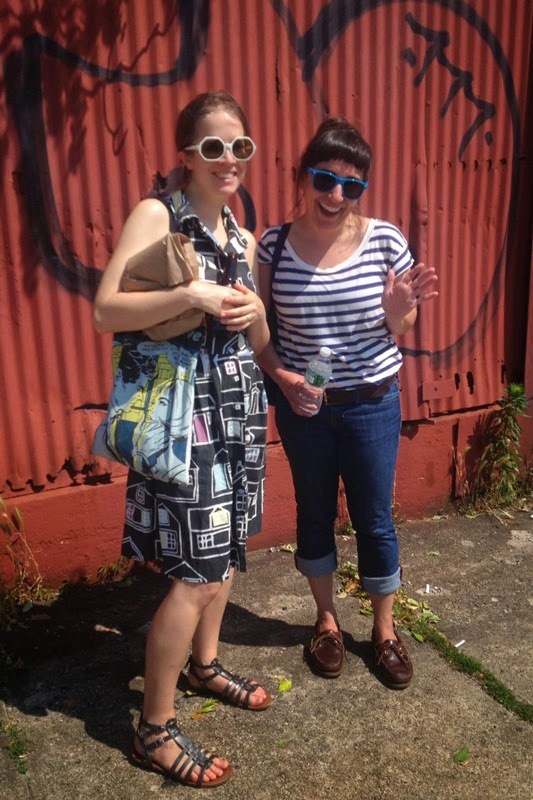 Lisa Rosalie Eisenberg came all the way from Portland, Oregon to visit The Hypothetical Island, editor Ellen's comics and illustration studio in Brooklyn! Lisa has been in all three issues of The Strumpet! She has been in two other comic anthologies; Papercutter and Bird Hurdler. Lisa currently self-publishes her comic series I Cut My Hair. She also teaches comics creation to children and teens in the Portland area! Here is an example of Lisa's illustration! For more of Lisa's work check out her website!